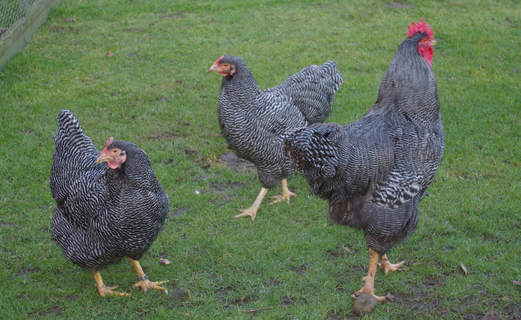 The Plymouth Rock is considered to be a heavy breed and originated in the United States taking their name from the town of Plymouth. 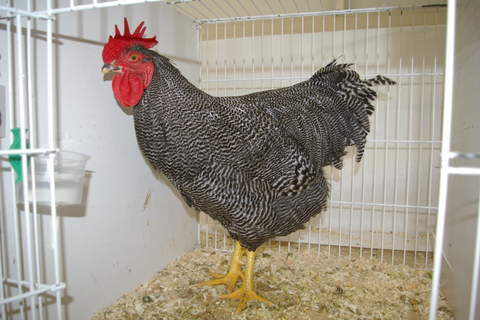 The breed was recognised as early as 1874 under the name Barred Plymouth Rock which describes the markings they had. 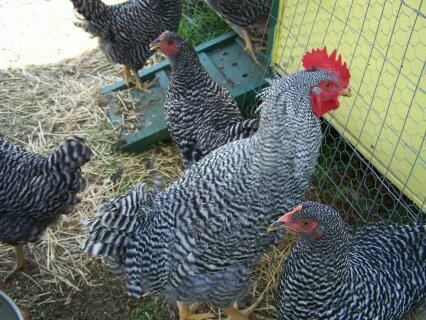 They are large, long lived chickens and the hens have a deep, full abdomen which is a sign of a good layer. 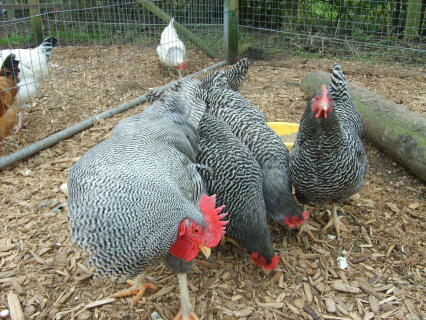 They have a broad, deep and well-rounded breast and bright yellow legs. 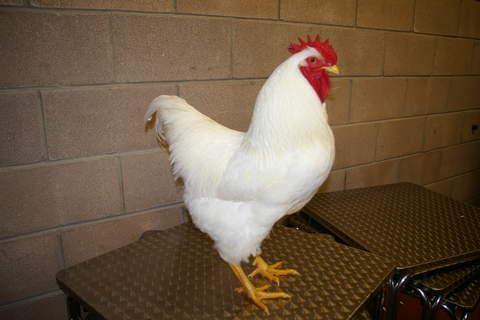 The face is red with red ear lobes, a bright yellow beak, bay coloured eyes and a single medium sized comb. 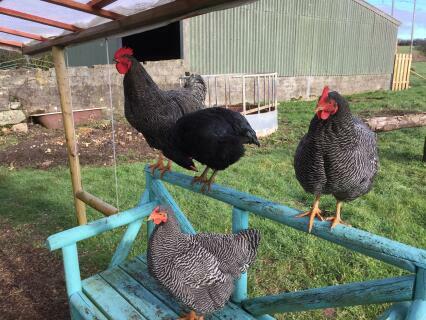 They are friendly birds which are easy to tame and are vigorous and hardy birds which don\'t need a lot of space but do appreciate the chance to run free, They are not good fliers so do not require high fencing. 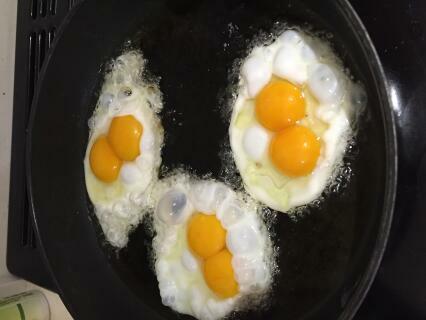 They lay a good number of cream coloured eggs averaging around 200 per year. Plymouth Rocks do tend towards broodiness though so regular egg collecting is important to avoid too much of this. 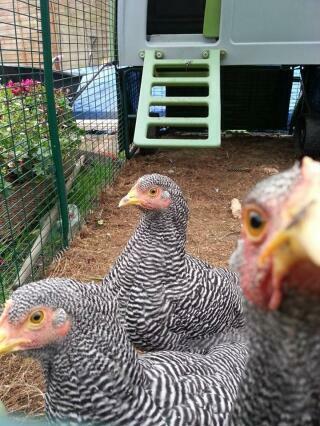 Chicks feather up quickly and make wonderful pets for children due to their docile nature. 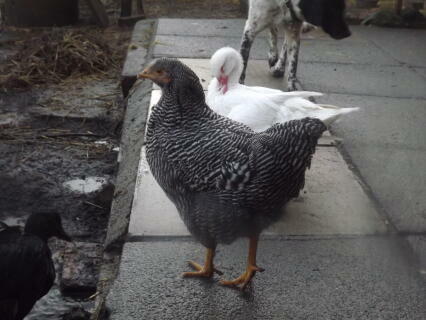 There are several varieties of Plymouth Rock, the barred, white and buff being the classic ones. Other colours include multiple pencilled or triple laced, pencilled partridge, multiple pencilled silver partridge, Columbian, buff Columbian and blue laced. 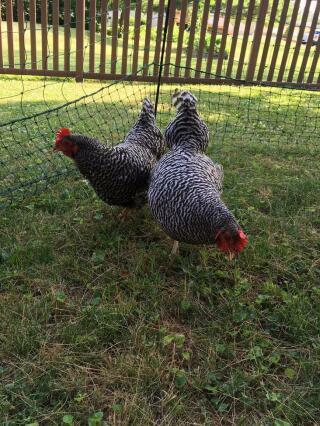 I have 4 hens, 1 cockerel, and 1 hen Wellsummer. 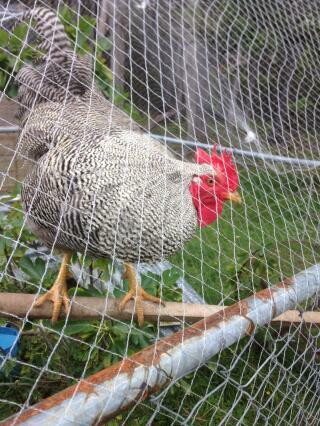 The hens are braver than the Wellsummer, very friendly and incredibly nosey. When ever you go out they run over to see if you have brought something nice for them. Really windy where I live but it doesn’t seem to bother them in the slightest. The eggs are delicious. One word of caution!!! 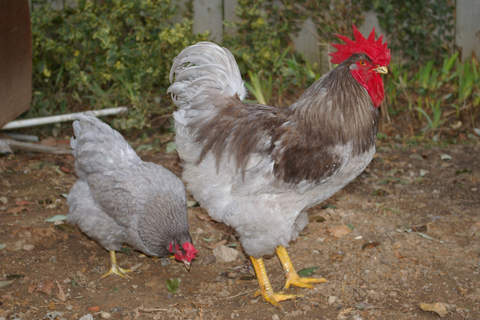 The cockerel has attacked me twice (from behind) drawn blood once, and attacked my wife. He is now wary of me but it takes some work to assert your dominance. Wouldn’t recommend if you have children. Stick to hens. 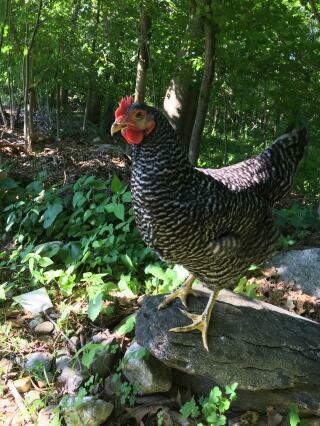 I really love the Plymouth Rock breed it is my favorite chicken ever. I really like the barred pattern on the feathers. 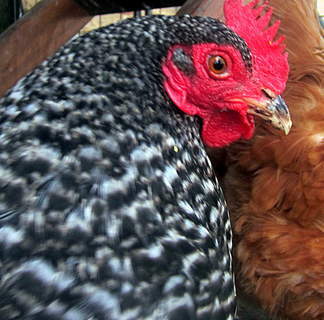 These chickens are also very exceptional egg layers. They are very social to mine will just eat out of my hand. I really like the Plymouth Rock. 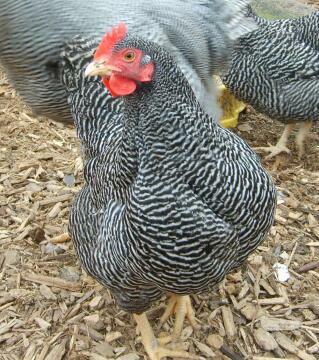 I have a variety of different breeds, but my barred Plymouth rock lays by far and away the best egg. It is not only beautiful to look at - a delicate pink - but also tastes far richer and is deeper yellow than all my other eggs, athough she has the same range. 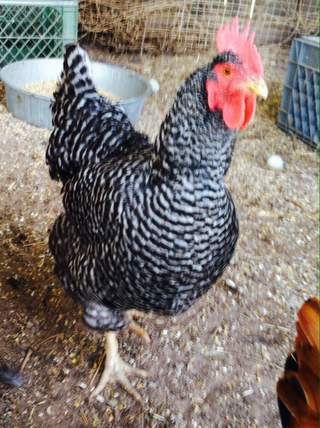 She is big and so smart with her black and white stripes and shining feathers, and is probably my best-natured with all the other birds. She is quite talkative with a gentle voice and is a lovely placid, easy going bird. Definitely one of my favourites. a good layer and a all round nice bird I would recommend this to everybody how want chicken's.